Poseys are great for visual reinforcement of training for body positioning since they are three dimensional and can bend in any direction. They are also great fun for coffee tables or desks. These are meant for training aid use or decorative use only and are not a toy and not to be bent repetitively. Not for children 3 and under. 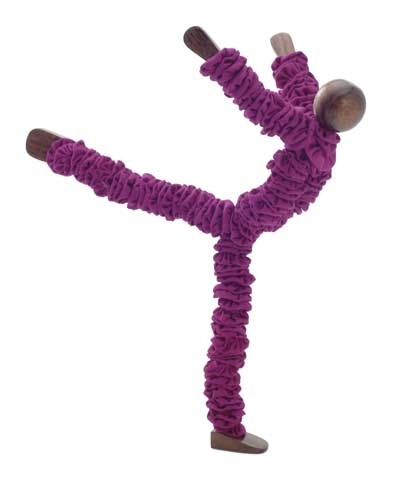 The brightly colored cotton circles cover a wire armature with wooden head and generous sized hands and feet for easy posing.